← The Sports Archives – Twickenham’s Highest Visiting Points Scorers! The Sports Archives – Snowboarding vs. Skiing: Which One Is Best? Snowboarding and skiing rank among the most popular winter sports and as such, they have avid supporters. No doubt about it, winter sports enthusiasts like either one or the other, there would be no opinions in between. Which winter sport is better? To assess skiing and snowboarding, we will have to look at different aspects and draw the final comparison. Skiing and snowboarding are two rather different sports. Each one has its unique technique and it will attract a particular group of people who will probably find the other option less attractive. The only similarity between skiing and snowboarding focuses on the fact that equipment is used by the athlete to go down a snow-covered hill or track. This is as similar as the two sports get. Many differences exist, however. Snowboarding involves no supportive equipment like the poles in skiing. This equates constant alertness. On the other hand, snowboarding is a sport that goes easy on the knees. The surface that the two sports can be practiced on is different, as well. Snowboarding works best on powder. 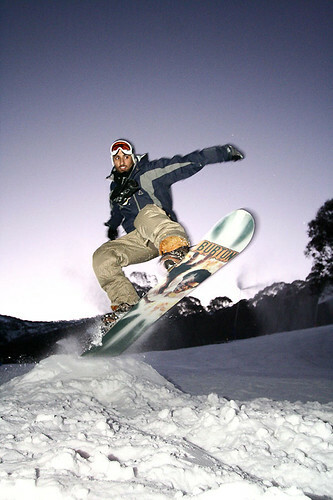 Many off-track experiences involve the snowboard. Skis work better on a well-processed track or on ice. According to many people who have tried both sports, snowboarding is easier to learn and a better option for beginners. Ski lovers, however, will claim that skiing allows for bigger freedom and creativity in terms of maneuvering, which makes it worth the effort. To start the comparison, let us look at the manner in which each of the sports can be mastered. When it comes to learning, is skiing or snowboarding easier? Some claim that the basics of skiing are easier to master but once the specifics of snowboarding are learned, control becomes a whole lot easier to achieve. Once again, discovering completely unbiased opinions about one sport or the other will prove to be exceptionally difficult. In the case of snowboarding, it will be difficult to get used to the bodily position and the fact that both of the feet are strapped to the board. It feels less natural than skiing precisely because of this position. Another important factor to consider is the adrenaline rush connected to each of the two winter sports. The experiences are very different and comparing skiing down the hill to snowboarding will be a very challenging task. The fact that different styles are available in both of the sports turns the task into even a bigger of a challenge. Some experiments were carried out to find out which sport allows for a bigger speed. Skiing proved to be the better option for everyone who just loves a high velocity. In terms of adrenaline rush, skiing and particularly freestyle is considered superior but snowboarding and learning how to control and master the board will let you experience great exhilaration, as well. Each sport comes with a particular injury risk. As already mentioned, skiing is known for the knee trauma that many experience. Snowboarding is connected to some dangers, as well. Wrist injury is highly likely, especially among beginners. Falling down when being strapped to a board can be a rather unpleasant and painful experience, as well. Skiing allows for better maneuvers and a higher speed. Snowboarding is the perfect off-piste experience that comes with a higher coolness factor, as well. Is skiing or snowboarding better? It all depends on your preferences, the type of workout you are looking for and the particular adrenaline rush you are willing to achieve. Give them a try to figure it out. David Cope created this post on behalf of Sealskinz.com. Purveyors of fine apparel for elite sportsmen and women, their rather excellent winter skiing gloves will see you through rad air and apres ski. David is a passionate snowboarder and sealskinz blogger in his spare time. This entry was posted in Olympics, Other and tagged alps, freestyle, holidays, ice, skiing, snow, Snowboarding, sports and leisure, Sports Archives, Sports Blogs, sports injuries, travel, winter sports, winter sports enthusiasts. Bookmark the permalink. 10 Responses to The Sports Archives – Snowboarding vs. Skiing: Which One Is Best?